A basic understanding of Vue.js and Node.js is needed to follow this tutorial. In this article, we are going to be looking at how to accept payments from a user using Stripe and displaying sales on an admin dashboard in realtime usingtext in italic Pusher. Stripe is used to handle user payments and Pusher adds realtime functionality to our application. If you get version numbers as your response, then it means that you already have them installed and you are good to go. Stripe is a platform that helps process online payment. We will use this to process payments in our store. 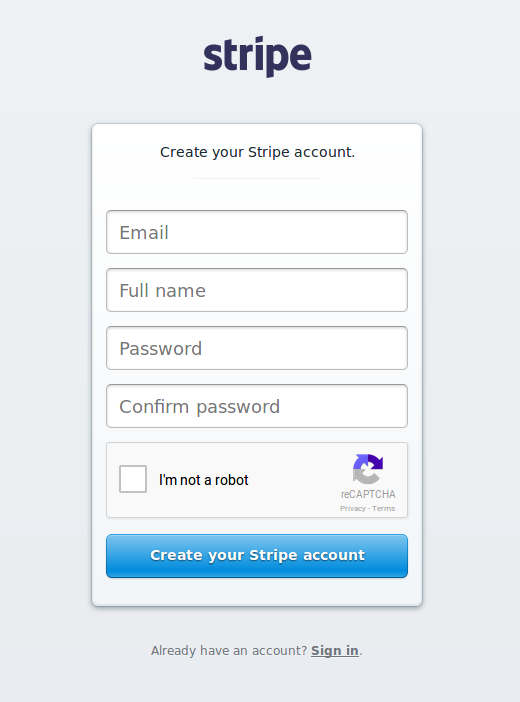 To set up a Stripe account, head over here and then fill out the form. Pusher allows you to incorporate realtime functionality into your applications. To get started with Pusher, head over here. Once you're signed in, you will be redirected to your dashboard. You then need to create a new app. After your new app is created, you need to note your PUSHER_APP_ID, PUSHER_API_KEY, PUSHER_API_SECRET, PUSHER_API_CLUSTER . Once you have these details, you are ready to begin building your app. To handle your API calls to Stripe and Pusher, we will use an Express server. You have now installed all the modules necessary for you to build the project. Once you have imported your node modules, you can then use them freely all through your script. Here, we set our app to use cors and set the view engine to ejs. We also instructed the app the parse the requests in JSON format. Once this is done, we have successfully created our Pusher client. Route that loads the checkout page. Route that handles the payment and communicated with the stripe API. Let's shed more light on the gen-payment route. We accept the stripeEmail and the stripeToken which would be passed as part of the body in the post request to the route. We then create a new customer using the stripeEmail and the stripeToken. The create function returns a promise and so once the customer is created, we initiate a new charge for the customer. If this charge is successful, i.e we are able to completely charge the customer, then we trigger a payment-completed event to the sales channel. At this point the backend server is all set up. Now we need to go to the views to see how data is passed to the server. In our index.ejs we need to accept user payment. To make it more secure when handling card information, Stripe has an embedded payment form called Checkout which we will use to collect user's card data securely. The following is a truncated version of the form that sends data to our server. You can see the complete code on github. We want our admin dashboard to show completed payments as they are made without having to refresh the page. To do this, we are going to make use of Vue.js and Pusher. If you get the version number as a result then you're all set! This will ask you a few questions on project name, description, author, etc. then it will create a new Vue project for us with some boilerplate already set up. In the subscribe method above, we subscribe to the sales channel and then listen for the payment-completed event. When a new payment-completed event is broadcast from the backend server on the sales, our frontend server picks it up and the adds it to the payments array of the component. We have seen how to build a realtime payment dashboard using Pusher, Stripe and some Vue.js. There are many more use cases where realtime functionality will give you an edge. A big advantage is that you get to obtain realtime insights as to how users interact with your application.